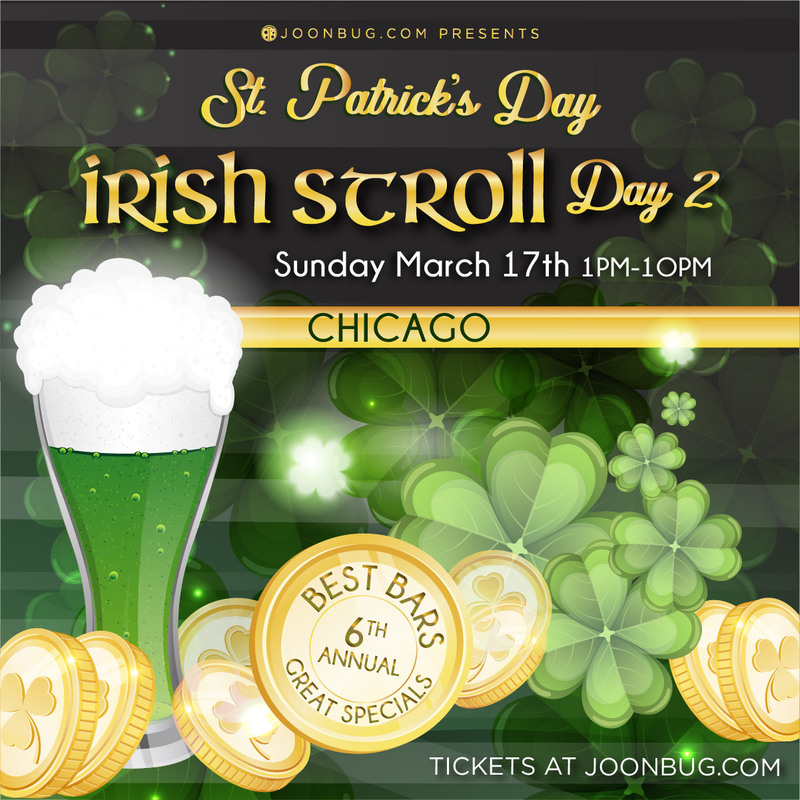 It may be the end of the weekend, but it’s just the beginning of Chicago’s most spirited St. Patrick’s Day celebration – the Irish Stroll bar crawl. Enjoy cover-free access to the city’s best watering holes and clink glasses with friends all day and night. This is the last event in a weekend-long blarney bender and we intend to go out in style. Indulge in some good old-fashioned shameless shenanigans and forget your four-leaf clovers, because your wristband is all you need to enjoy exclusive drink specials at every locale. We’re ready to celebrate St. Patrick’s Day like never before, and Chicago looks good in green.